If your business relies on transportation, it is important you do everything you can to ensure that it can continue to operate safely during the winter months. When it is wet, windy, icy and cold, breakdowns are 50% more likely to happen, according to the RAC, as the adverse weather can impact vehicles and their performance. As a provider of driving technology, we aim to ensure you save money and protect your business interests, so we have provided some top tips to look after your fleet in winter. A common problem over winter is the engine freezing or overheating. To combat this, make sure you check coolant levels when the engine is cold and top it up using the correct coolant and mix as recommended by the vehicle’s handbook. You should make sure the screen wash is made up of a suitable mixture of screen wash additive and water to prevent windscreens from freezing. It is generally harder to keep windscreens clean during the winter months as there is more likely to be mud and dirt on the roads. Tyres are the only resistance between you and the road so it essential you make sure they do not have any wear and tear, e.g. cracks, splits or bulges. You should also check the tyre tread - although the minimum required level is 1.6mm, it is advisable to allow 3mm during winter to help with traction and grip. Ensuring the tyre pressure is correct will also help the performance in tricky situations. Temperature will affect pressure of tyres so more regular checks may be required. 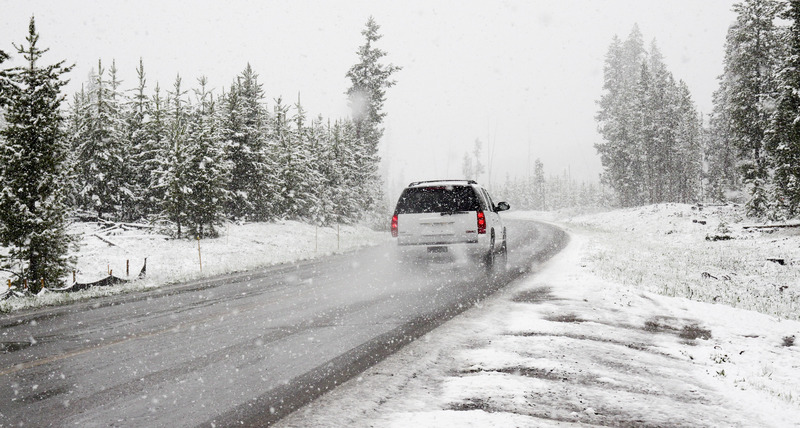 Many drivers opt for winter tyres during the colder months as they have more grip in wet, snowy and cold conditions, improving stopping distances for safer driving. With shorter days and darker nights over winter, you need to make sure that other road users can see you as much as you can see them. Make sure that lights are working and lens covers are clean - you should check them regularly to keep them dirt free. Just like your tyres, any splits or cracks in the vehicle’s wiper blades can hinder their performance, so it is important you take a look to see if you need to replace them. If the blades freeze to the windscreen, do not pull them off as you will damage them. Instead, use demister or de-icer to free them.